I love this book. Today Fisher, Annes, and I curled up in my bed and read Katy and the Big Snow for the gazillionth time. We found all sorts of things on the map and Annesley cheered Katy on as she worked herself through the Geopolis snow drifts. 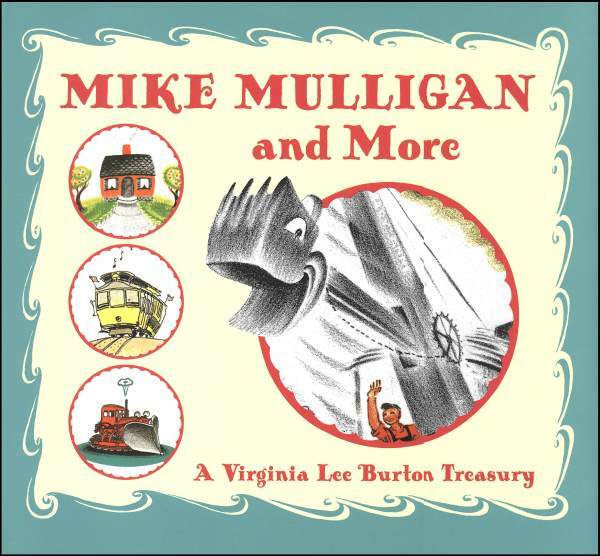 Virginia Lee Burton created stories my children beg for over and over again and I love her for it. I would kiss her if I was anywhere near her. I remember reading The Little House to Blythe and highlighting all the sight words to help her learn to read them. 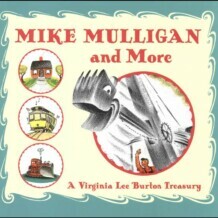 I remember the first time I read Mike Mulligan and the Steam Shovel to Fisher and how his little boy mind latched right onto the idea of a big machine doing a big job and how he wanted to do big jobs too. Reading to my children is one of my very favorite things to do. Infusing them with a love of literature, beautiful illustrations, and characters that speak to their hearts is a privilege I take seriously. I strive to surround them with books that will build their little souls into people who stand true, fight hard, and serve well. What are your favorite books to grow your children into their best selves? I originally found you through Balancing Everything back after the road trip. When she linked to your seder posts today I recognized you and caught up on posts. I’m so grateful you’re seeing improvements. I remember when I was recovering from my poor health and having those same doubts. “Am I really getting better? Is the $**** we’ve spent really worth it?” etc. And my husband would also laugh and comment on how the laundry was actually done or dinner was actually made and that I wasn’t high on drugs and how YES OF COURSE I”M GETTING BETTER! So keep doing what you need to do and turn to the Lord. He will continue to carry you and prompt you and help you on your journey. Welcome to WOK! Thank you so much for your kind words. It is a delightful treat to make connections and receive support from people through the magic of the internet. The doubts are overwhelming sometimes…crazy-making stuff for sure. I just had my second ozone injections today and it was a gazillion times better!